You have finally decided that the time has come. You’ve met the person that you want to spend the rest of your life with, now you just have to plan the wedding. Weddings come in all different sizes, shapes, colors, and themes. There is a common thread throughout all of them though. Uncertainty. The what-ifs start to pile up as soon as the planning starts to take place. What if we don’t get a marriage license? What if the minister is late? What if we can’t find a venue? Alright, you’re back with me now, so let’s talk about what you can expect with your Vegas wedding. All venues are a little different, offering one thing or another. We want to provide you with a step-by-step of services and are here to help you. Take a moment with me and let us put some of those “what-ifs” to rest. Before you get too deep into the wedding planning process, take a moment and think about what YOU AND YOUR PARTNER want. Invariably, there will be a mom, a sister, aunt, cousin, or friend that will feel that their ideas are going to be the best for you. Do you want a large wedding or something cozy with only those closest to you to help celebrate? 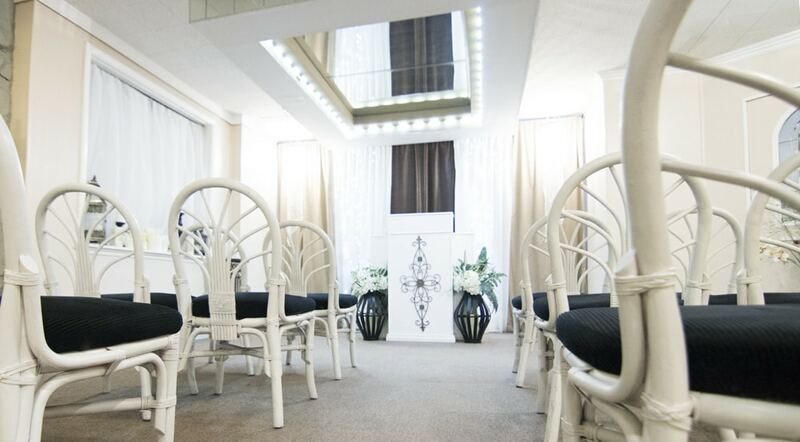 At our chapel, you can have 24-35 of your nearest and dearest with you on your special day. Follow the link below to help you build your guest list! The next step is a big one: deciding on the venue. This will play a part in how many you want to invite, of course, and if you want to invite 500 people to watch your vows, a larger venue (and more money!) are in your future, or you could try broadcast wedding services if your venue of choice offers it, but if you are going for something a little smaller, there are a lot of options available. Don’t forget, just because you have a smaller ceremony, doesn’t limit your guests for a reception. 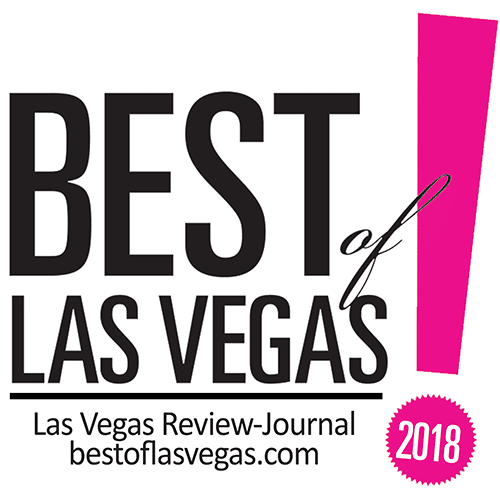 Can you say, “Party on the strip?” Your reception will be hard to be topped! If you are seeing yourself with a larger wedding, don’t hesitate to reach out to us and we can see what we can do. Contact Info or Hyperlink? Let’s assume you now want to share your very special day with us. Let me tell you about a few of the other features that make our venue the right place for your little Vegas wedding. 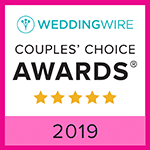 If you’ve already had the opportunity to wander through our Wedding Trends (Please add the hyperlink), you’ve seen some of our great features. If not, I’ll provide you with one of our top-most features that rule out the “what-if” blues: convenience! After speaking with many brides and grooms, a common nightmare was a broken down vehicle on the big day. Many people feared that their car wouldn’t work and they would be scrambling to get to the venue. 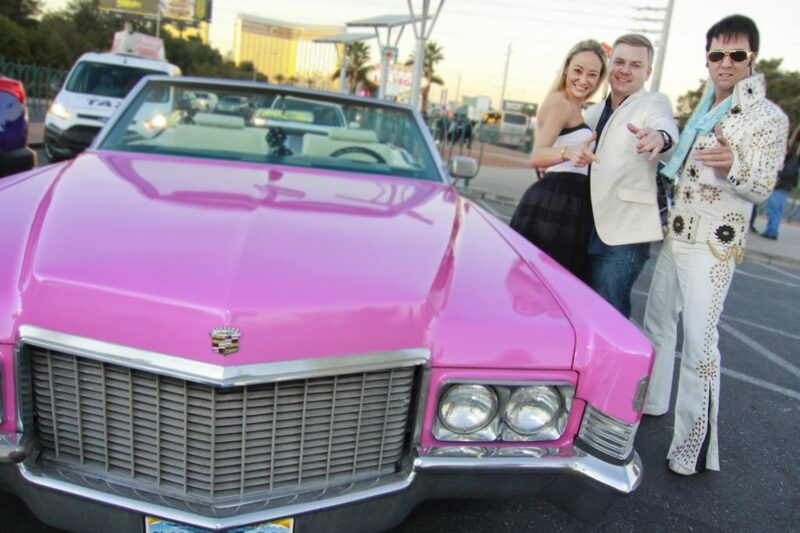 We can help ease this concern and you can utilize our six-seat limousine for your nearest and dearest to be shuttled to the venue, or, you and your love can snuggle up in our romantic pink Cadillac. We have numerous options so browse on over to our limousine services and see what is the best fit for you! All you need to do is answer the phone on your big day and we will let you know when we will be there to get you. Your chauffeur fee will be taken care of at the chapel when you get there. Once at the venue, walk down the aisle to your love and the wedding officiant to say your vows. 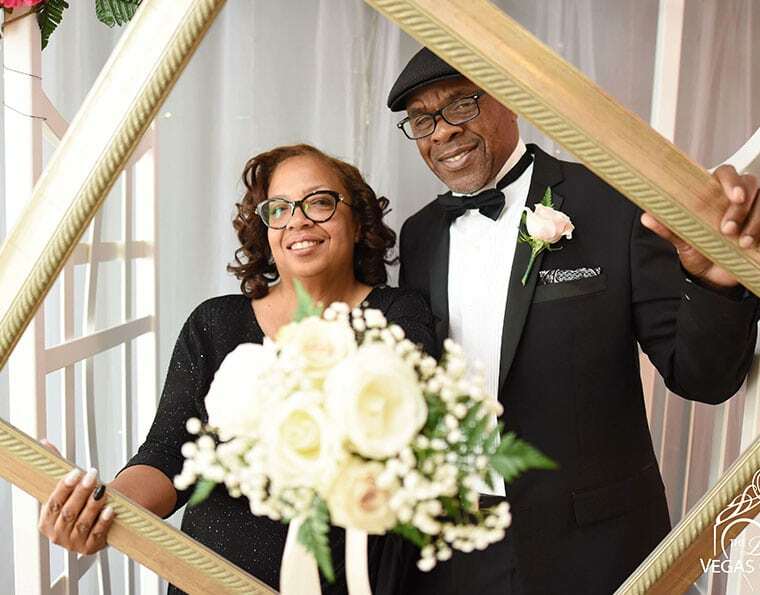 The officiant is one service that many people know they need for a wedding, but don’t know how to go about getting one. Furthermore, they may not even be aware of the different types of officiants available to them. 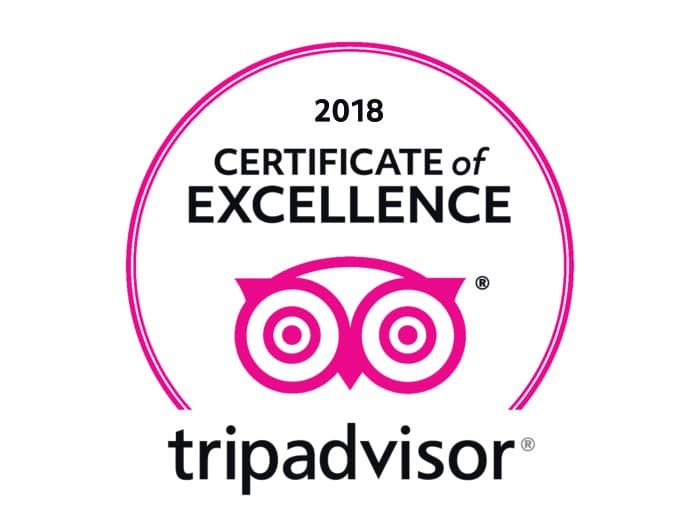 Whether, you want your Vegas wedding to be religious, secular, or a light-hearted performance by The King, we can put the resources at your fingertips. Again, all services will already be agreed upon so there won’t be any surprises! While memories are great, the best way to remember your wedding is with pictures. When purchasing one of our wedding photos packages you will get high-resolution images emailed directly to you. Once downloaded, you will be able to print these as many times as you like! You’ve smiled, and kissed, and loved up for the camera! Your memories will now last a lifetime. NOW LET’S PARTY! While many think of Vegas weddings as a one-and-done, we know that simplicity doesn’t have to mean basic. There is nothing quite like enjoying a bite to eat with your loved ones after tying the knot. Catering your food into a venue can be difficult. Some companies require you to pay extra just for the servers to bring out the food! Ordering a cake and hoping that it is ready, delivered, and in-one-piece by the time it gets to the reception is always nerve-wracking. Our master chefs have fine-tuned our menu to provide a little Mexican flare to your nuptials and you can polish off your event with decadent chocolate cake. You’re hitched without a “what-if” in sight! 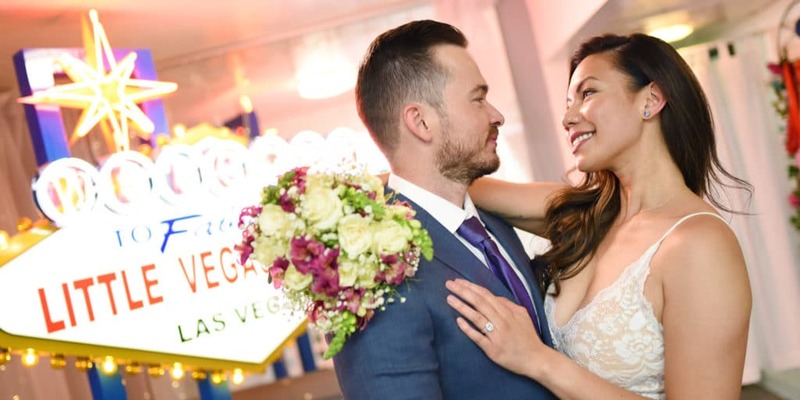 Thank you for letting us be a part of your little Vegas wedding and the rest of your life!